Live Talk with Alex Exum and Carlton S.
LIVE TALK 🌴 with Alex Exum Mueller Report, Jussie Smollett Fallout, feat. Carlton S.
Unapologetic. Politically Incorrect. Lover of Common Sense. Alex 'The Experience' Exum brings his own personal approach to American culture, society and current events to the Exum Experience Talk Show. A constant pitch of righteous indignation, The Exum Experience Talk Show is based in actuality; Actual existence, typically ... See More contrasted with what was intended, expected, or believed. 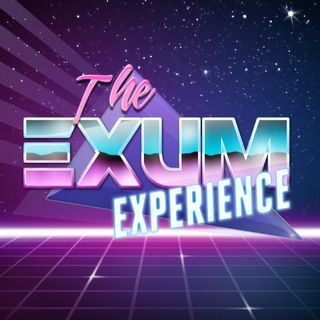 *The opinions expressed on The Exum Experience are those of the host, guests, and callers and are not necessarily those of any network, radio station, its management or advertisers. By listening you acknowledge this show is for entertainment purposes only, and this broadcaster nor any anyone associated holds no responsibility for the validity or accuracy of information discussed on this show. EXUMfm is a fully licensed. Music streamed on EXUMfm are made available under current and specific licenses and permissions granted by the original copyright holders and/or their consigns under usage and display definitions in accordance with United States Copyright Code, Title 17; §106(4,5) and ... See More §114(b) respectively, and for use in ASCAP, BMI and SESAC compliant venues within the United States and other authorized countries alone. 1. "Dat Tune Is LIVE"
*LIVE MUSIC is fully licensed. Music on LIVE MUSIC are made available under current and specific licenses and permissions granted by the original copyright holders ... See More and/or their consigns under usage and display definitions in accordance with United States Copyright Code, Title 17; §106(4,5) and §114(b) respectively, and for use in ASCAP, BMI and SESAC compliant venues within the United States and other authorized countries alone. *The opinions expressed on 'LIVE Talk' are ... See More those of the host, guests, and callers and are not necessarily those of any network, radio station, its management or advertisers. By listening you acknowledge this show is for entertainment purposes only, and this broadcaster nor any anyone associated holds no responsibility for the validity or accuracy of information discussed on this show. Complacent Beverly Hills housewife Mae Brussell had quite an awakening in 1963 when President Kennedy was assassinated, and again when she read and cross-indexed the massive 26-volume Warren Commission Hearings. She saw that the international terrorist network that had made up the Axis powers during World War Two had gone underground and ... See More continued their world-wide fascist campaign, overthrowing one country after another. America was not exempt. Frustrated that this vitally important information was largely unknown to the American people, Mae went to her friend Henry Miller of Big Sur, California (with whom she would later brag to friends about an affair). He told her that people can do anything they want if they apply themselves; live anywhere, learn anything. And there is nothing worse than looking back and regretting not having done what was important to you. "Don't die before you're dead." And with that advice Mae moved herself and the kids to Carmel, California and began the selfless, nonstop journey of political and history research that would soon rock the radio airwaves of Monterey and Santa Cruz counties from 1971 through 1988. Her listeners would never be the same. There were times when death threats drove Mae off the air: once by Charles Manson family member Sandra Good in September 1975. Sometimes Mae resorted to recording her shows at home on her small cassette tape recorder and privately mailed out copies to her subscribers. In 1983 Mae's show was picked up by listener-sponsored KAZUFM in nearby Pacific Grove. Five years later she was forced off the air, for the last time, from death threats but continued sending out her weekly tapes to subscribers until June 13, 1988 (tape #862). Mae died of cancer on October 3rd of that year. She was 66. Alex Exum discovered Mae's archived tapes on January 9th, 2014 and fell in love. The best of Mae Brussell's show, exclusively hand picked by KEXM for you from 1971-1989. Testing Out The New Spreaker Studio Demo for Windows.